The son is surfing the web, the mother and the daughter are watching television whilst the father is reading a magazine. Is there a way to make the whole family do something together, sit down together and spend some fun time together? What would make the whole family gather together? 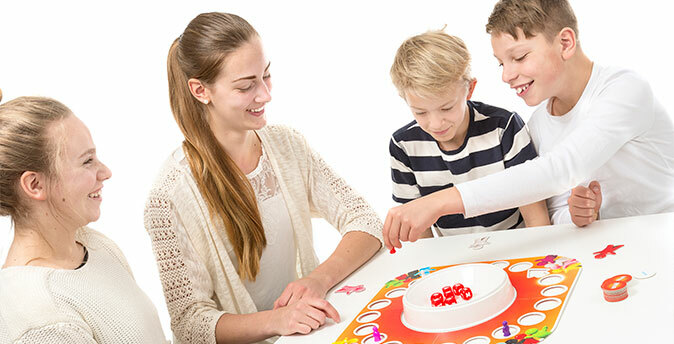 Our family games are suitable for players of all ages, and players will want to play them again and again. The games have been planned so that both adults and children have fun playing them. Wit is valued, knowledge is power, suspense is guaranteed and the joy of winning awaits one lucky player. There is something amongst our family games for everyone – genuine, happy moments await you and your family!